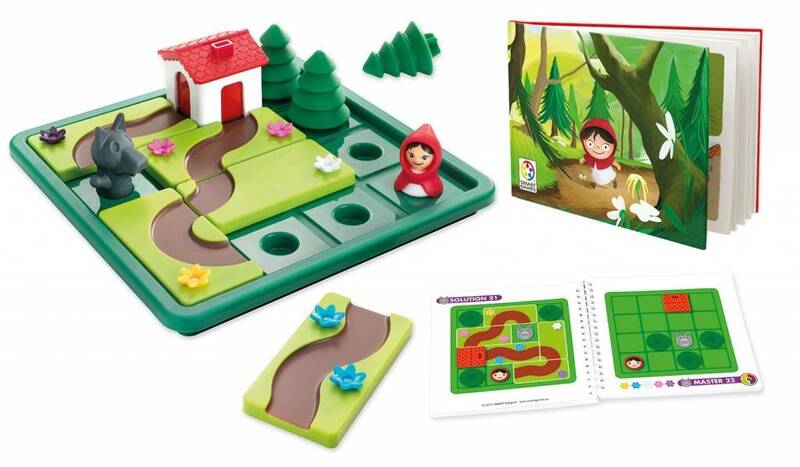 The magic of this popular fairy tale is captured in a wonderfully fun brainteaser game designed for single players ages 4-7. 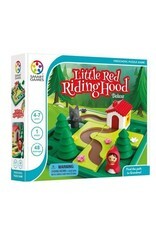 Lay out all the pieces on the board and build a path for Little Red Riding Hood to reach Grandma’s house. 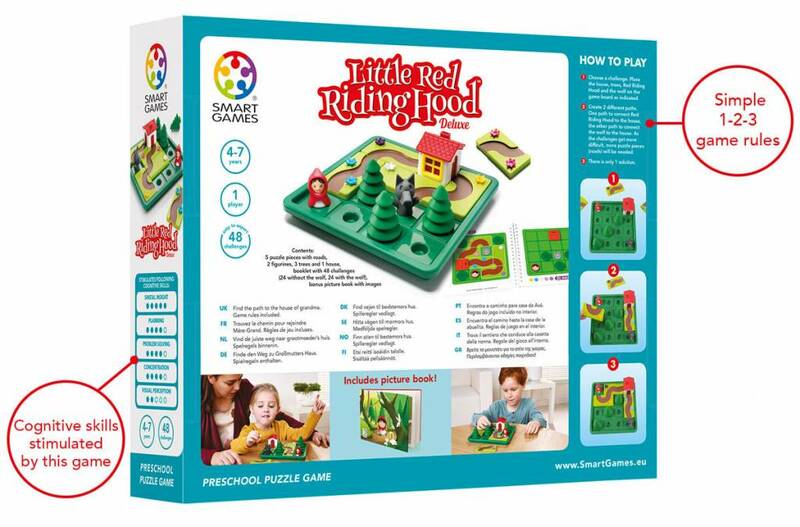 Using the puzzle pieces, create a safe path for Little Red Riding Hood to get to Grandma's house. 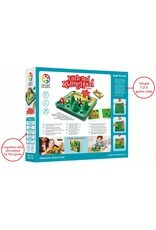 Choose a challenge. 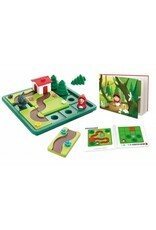 Place the house, trees and Red Riding Hood on the game board as indicated. 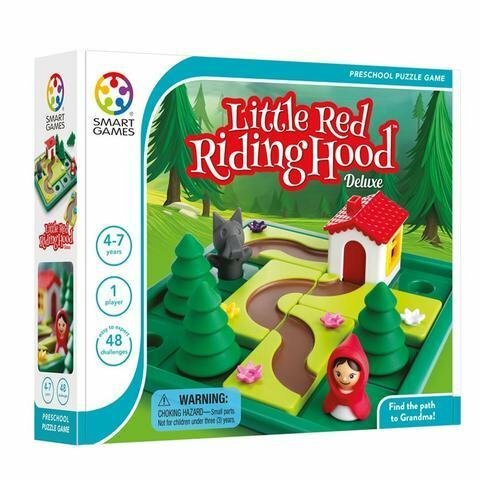 Create a path to connect Red Riding Hood to the house. 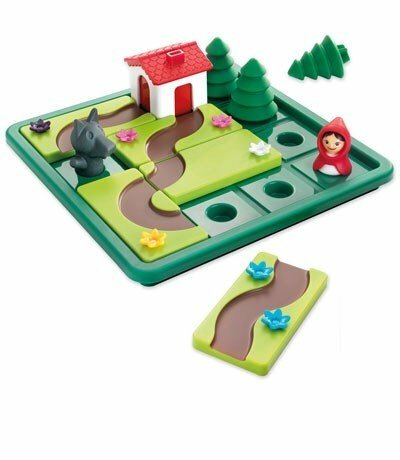 There is only one solution per challenge. 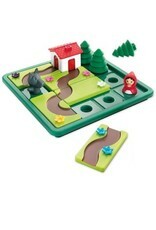 You can also play with the Wolf in which you need to take two different paths to reach Grandma’s house.